Rock and Roll your grout clean from tiled surfaces up to 50% faster than using a standard hand sponge! 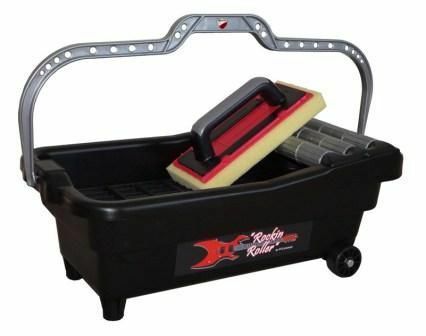 With our "Rockin Roller" grout washing bucket you will achieve the maximum results of full uniform grout joints from one tile to the next. Your hands remain dry and free from the "Cold Water Blues"
Super fast results while maximizing full joints. Less haze on final cleaning. Uses 1/3 less water on the jobsite. Ribbed rollers for maximum water extraction. Rollers are pitched to keep water in the bucket. Numerous sponge sizes & styles available!